Ecuador real estate offers opportunity. Ecuador real estate liquidations can offer even better deals. 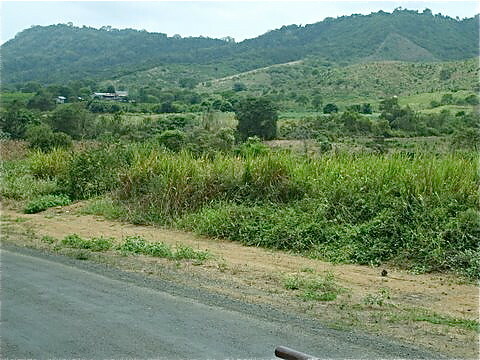 See details about this 326 acre Ecuador real estate liquidation, a coastal agricultural property for sale at $41,000 below. To assist those interested in Ecuador we have created an Ecuador Living service that provides a full time full support, research and assistance team to help subscribers in any way required. Part of this team are multi lingual Westerners so we understand the Western cultural needs as well as those of Ecuador. One service for example is that we scan Ecuador newspapers looking for unique properties and put our subscribers directly in touch…thus avoiding brokerage fees for our subscribers. We do not sell real estate nor accept commissions but because we write about Ecuador real estate to tens of thousands of readers, they have purchased millions of dollars of Ecuador real estate in Galapagos, Mindo, the Coast, Cotacachi, Quito and more. The word is out. 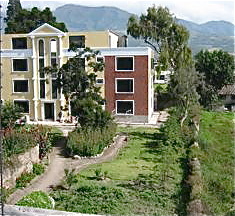 More and more Ecuador real estate sellers are approaching us first when they have Ecuador real estate for sale. Recently an attorney who represents banks in Ecuador has been sending us Ecuador real estate liquidations so we can share extra special Ecuador real estate deals with our subscribers. One huge benefit in using our service versus relying on brokers is that we are not trying to sell real estate. For our modest subscription, you get our honest opinion based on 40 years of international business and 13 years residence in Ecuador. We do not care if you buy one property or another or even if you buy at all. This means you get our advice without hidden agendas. Yet we know all about buying Ecuador real estate. We have an active Ecuador business and have personally purchased a 962 acre hacienda, condos in the mountains, a house, a hotel plus condos and apartments on the beach. Our Ecuador Living service shares our continual research and experiences in global business, living and investing in Ecuador. You also gain access to our extensive contacts plus you get to share the input from our 13,238 readers who continually let us know what they see hear and experience good and bad in Ecuador. 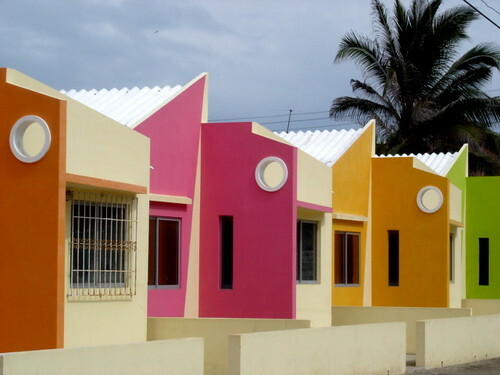 We conduct real estate tours to help our subscribers learn Ecuador’s real estate market in the most efficient way. Not only are our tours efficient, they can save you money! Many developers give our Ecuador Living subscribers and tour delegates discounts on property (since many delegates and subscribers buy and we do not take real estate commissions). You can enroll in our Ecuador Living Service to learn more about the 346 acre Ecuador coastal property for sale at $41,000 below. Here are more shots of the 346 acre Ecuador coastal property. 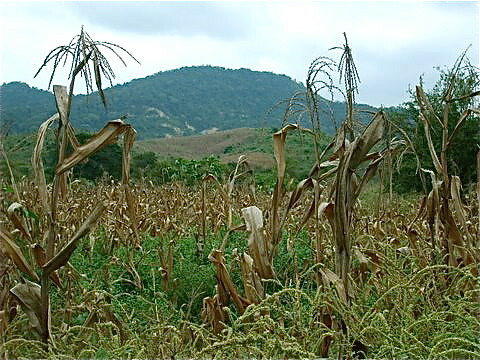 A lot of corn is being grown on the land now. Here is what Ecuador Living’s man on the Ecuador coast, John Papski, just sent to us. John wrote: “Gary and Merri, I checked out this property a few months ago while visiting the coast with the last group. This is a good opportunity, part of a bankrupt bank with the price reduced before going to auction soon. I went ahead and signed a right of first refusal so Ecuador Living subscribers have the first shot at this. There is 326 acres of shrub on gentle hills divided by main road from Bahia and San Clemente about seven miles away. There is a rough shed, really belonging to caretaker, as well as a water tank for tanker delivered water. There is electricity. 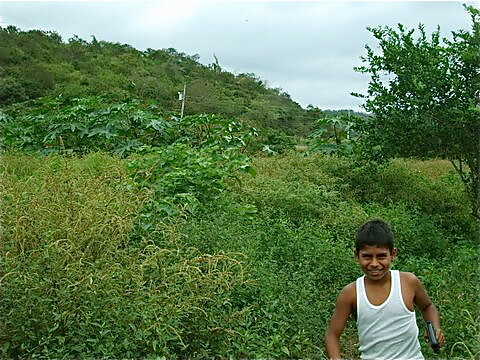 This land is ideal for seasonal planting, soya, maize, maracuya and has an old well 200 feet deep but with water (Water analysis done) of 3% salinity. 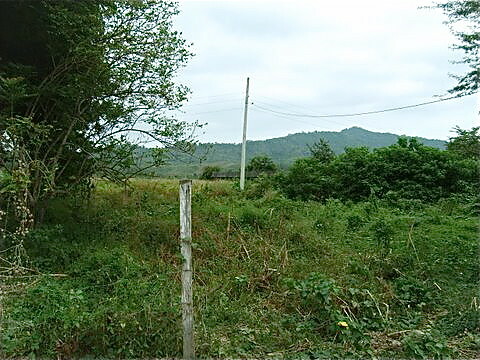 This is a great price as the land could have coconut and tamirindo growing for commercial purposes as they accept this amount of salinity in the water. 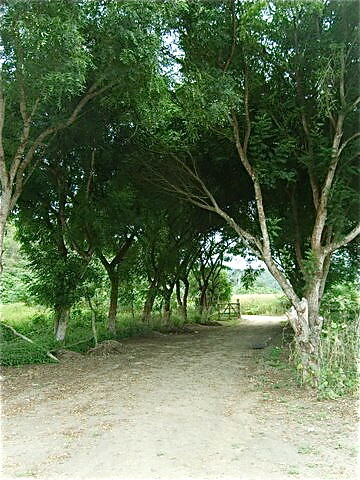 There is a grand entrance to the property. But not a lot of building. 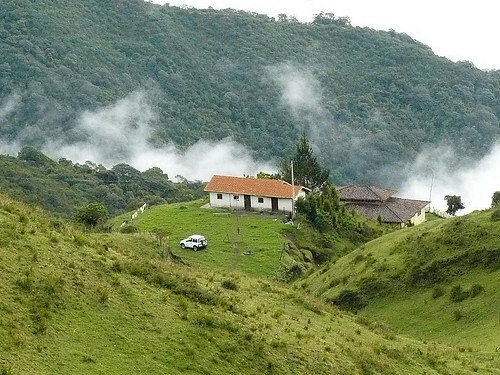 If you would like more information about this property or others like it, please subscribe to Ecuador Living and we’ll send you details on how to access Ecuador real estate information. Until next message, may your living in Ecuador or wherever be good. Join us October 3-5 for the Blue Ridge leaf change. Or enjoy one of our courses or tours in Ecuador. We’ll see these condos by the beach at $18,000 as well as the 346 acre property above. We’ll view this 150 acre property for sale at $50,000 on our Imbabura tour as well as these condos in Cotacachi offered for $46,000. 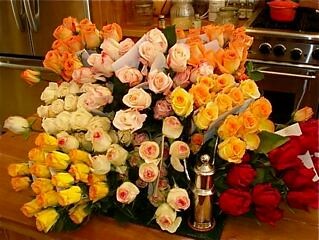 Learn how to import roses and dozens of other products in our import export and Business Made EZ courses.